I’ve been avoiding writing this post for at least a week, probably two. Mostly because it has personal meaning to me as alcoholism runs in my family on both sides – My mothers father was one of the “Mad Men” of the 50’s, worked in advertising and died of liver failure due to alcoholism. I guess he got pretty ugly in the end. My paternal grandparents didnt drink at all (which leads me to wonder if their parents were alcoholic) but all of their children have a penchant for the sauce. Before I was a medical student, I thought the damaging effects of alcohol could be traced directly by measuring liver enzymes – and as long as those harbingers of hepatic cell death stayed within a reasonable limit, one was “getting away” with whatever one was doing. Enter: neurology. Boy was I wrong. Oh and Ps. Dead liver cells cant release ALT or AST, so good liver enzymes in the face of chronic alcoholism is actually a pretty bad sign. The blood brain barrier is an effective barrier to most things except: nonpolar and lipid soluble molecules. Enter: CO2, O2, and ETOH (alcohol.) This means that as soon as alcohol is in your blood, it is seeping into your brain. And brain cells/ neurons are permanent cells – they don’t have the ability to divide, so they don’t replicate. You get what you started with – some axons can be regenerated, but once the cell body dies, your numbers start to decrease. 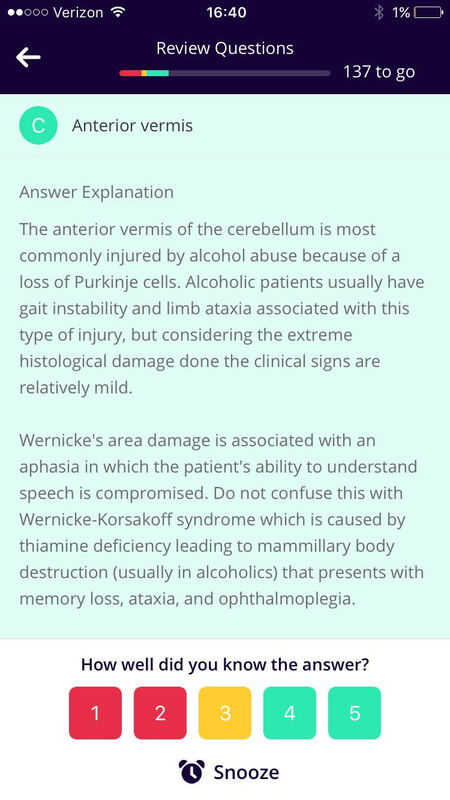 The cerebellum is one of the parts of the brain most affected by alcohol cell death; this is why people become unsteady and clumsy when drunk – inhibition of cerebellar function! There are multiple and complex inputs to this lower brain region from almost every aspect of the nervous system, so it can compensate for loss of neurons (when sober) for a long time. Up to 80% of cell death can happen before symptoms become noticeable! Unfortunately, once this is happening in the sober state, the cells are dead and there is no ability to recover balance or coordination. 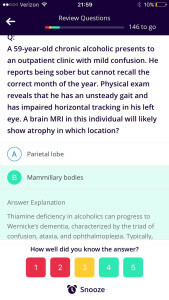 I didn’t know that memory loss is also a component of chronic alcoholism. 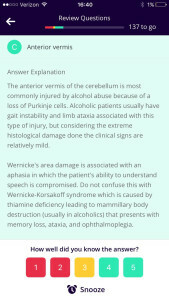 There are two halves to the cognitive decline that will happen eventually called Wernicke-Korsakoff syndrome, and these are from alcohol related destruction to two more areas of the brain. The first set of symptoms is reversible, and is related to a deficiency of vitamin B1 aka thiamine. The mammillary bodies are wee nubs on the underside of the brain that are part of the social and emotional brain. 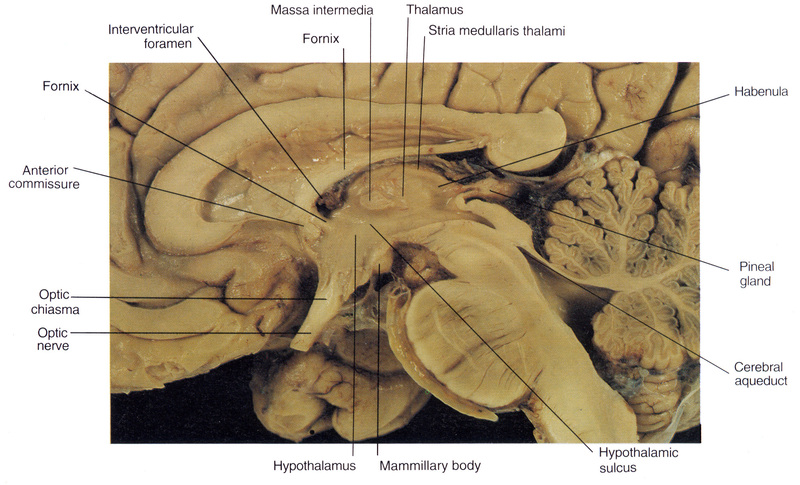 They take information from the hypothalamus and hippocampus, and run it to the anterior nucleus of the thalamus. This is a critical loop in emotional and social behavior integration at a cognitive level. I guess this is partially where the numbing effect of alcohol on the emotions could occur? 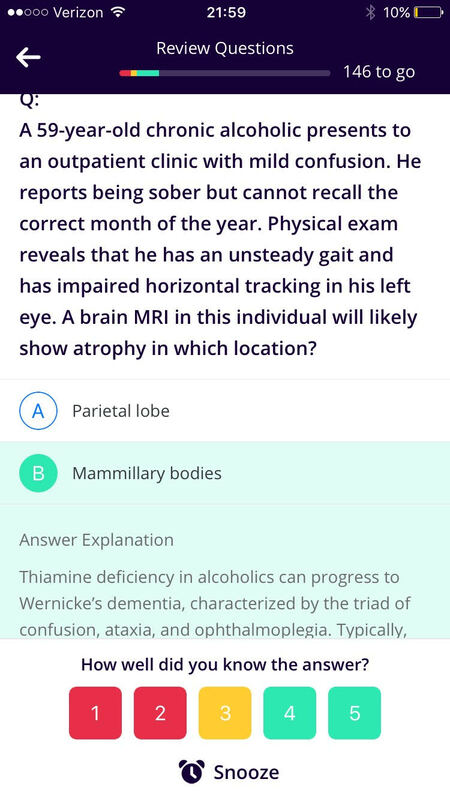 With a deficiency of B1, the mammillary bodies hemorrhage and cause Wernickes encephalopathy, characterized by confusion and your eyes not tracking properly, as well as the unsteadiness from the damaged cerebellum. This is why in hospital treatments, alcoholics are first given thiamine/ B1 to see if it can reverse the symptoms. From a prevention standpoint, taking a good quality capsule (not tablet) daily multivitamin seems like a good idea for anyone drinking on a regular basis. This condition can progress to irreversible memory loss for the past, with an inability to make new memories, plus psychotic symptoms. This is called Korsakoff psychosis. As people lose their ability to remember, they start making things up to fill in the blanks called confabulation. This can be really depressing for friends and family members as it becomes clearly evident that the damage is permanent. 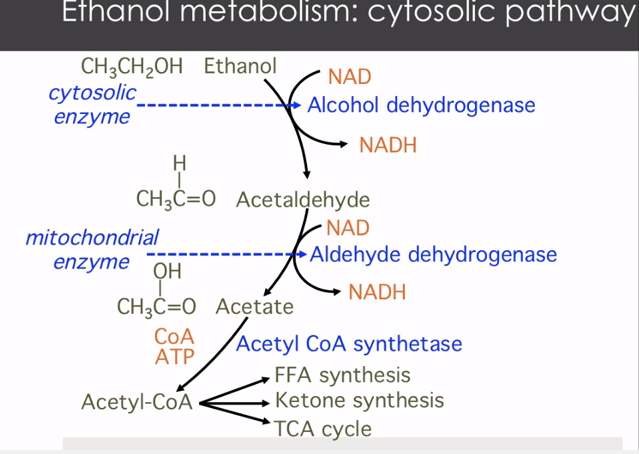 Ethanol/ your drinks/ are 80% broken down by cells (cytosol) of the liver. 15% of alcohol is broken down by microsomes in the brain and liver, and this pathway is upregulated in chronic alcoholism. The remaining 5% are converted to fatty acids and phospholipids that are thought to play a role in tissue damage. 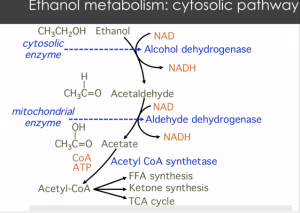 Both primary pathways break down ethanol to acetaldehyde, which is metabolized down to acetate…..Acetate, where have you heard that before? yes, NAIL POLISH REMOVER, flooding your liver and brain. 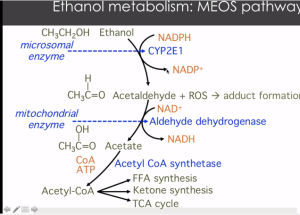 The major metabolic consequence is from the elevation of NADH that occurs in the cell and in the mitochondria in steps one and two with excessive and continual amounts of alcohol intake, because this NADH will inhibit the TCA cycle from running. No TCA = no glucose metabolism = no fuel for the cells. 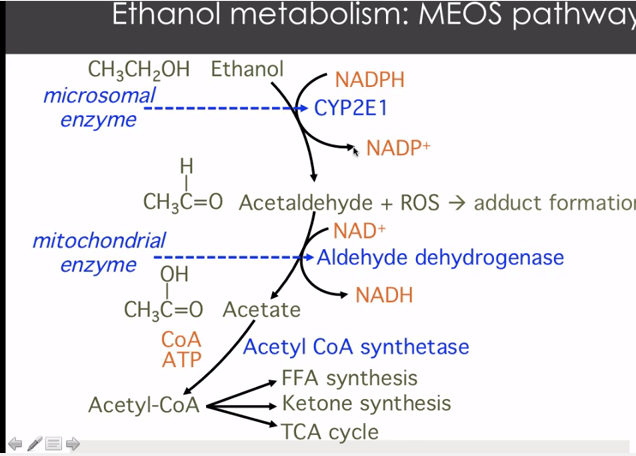 The brain will still need fuel, so the liver cleverly shifts the glucose from the alcohol (which can no longer be metabolized) to ketone production + free fatty acid synthesis (aka fat storage.) This explains, in painful detail, why alcohol makes you gain weight and affects blood sugar levels. Finally, I wanted to add this last slide for an important prevention note. This is the process of the 15% microsomal pathway that is upregulated with chronic high alcohol intake. Note the second step produces ROS – this is reactive oxygen species aka free radicals which are known to cause cell damage and cell death. Higher levels of ROS are bad in general and associated with greater inflammation and cellular damage across the board. This points to another potential place for prevention – with use of high dose antioxidants like CoQ10 200-300mg, resveratrol (500mg), alpha lipoic acid (200mg) and vitamins C (1000mg) and mixed tocopherol E (400IU). When alcohol intake gets high enough to start causing brain damage, obviously the primary treatment goal is to reduce the intake. 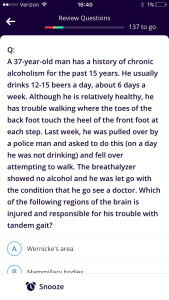 Our first case study had a 37 yo male drinking 12-16 beers PER DAY. How many drinks, realistically speaking, are you having per day? How many does that add up to per week? Does that seem reasonable to you? Alcohol is a depressant, so withdrawal symptoms are the opposite – agitation, irritation, worse case scenario people can have seizures. Benzodiazapines, some sleep drugs and alcohol all work on the GABA-A receptor in the brain. 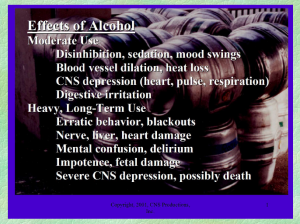 Chronic alcohol use downregulates the expression the neurotransmitter GABA, one of the “off switches.” Once high levels of alcohol start to lower, it takes time for the brain to start making enough GABA again, resulting in foul moods, irritability and general unpleasantness.